The first time I tried this method, I failed completely learned a lot. So I am pleased that I can share a *successful* tutorial with you! I'll share my oopseys at the end of the tutorial. But you will not believe how easy this is! * Do NOT overdo the bleach. I ruined one of Little Man's shirts because I didn't believe that the invisible bleach was doing all the work. 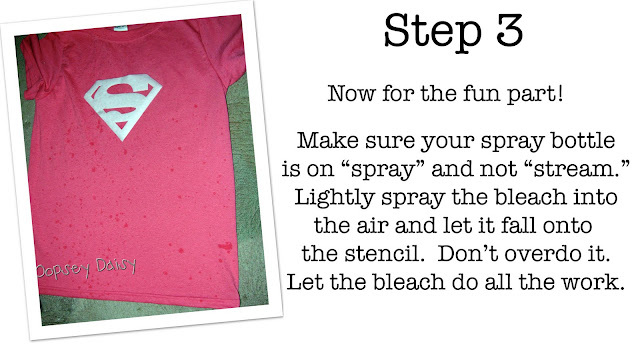 * I tried using a cardstock stencil the first time, but it did not give me a clean, crisp stencil image. I definitely love my freezer paper! 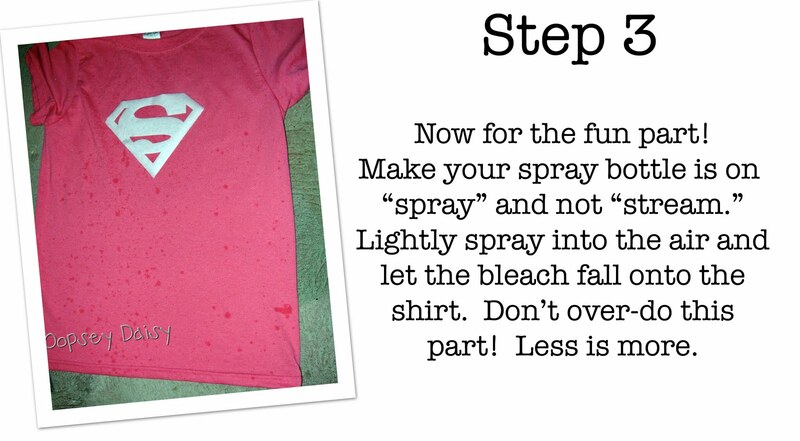 * If your spray bottle is on "stream", it will leave much larger blotches. I realized that with my first spray! * I had the best luck when using undiluted bleach. 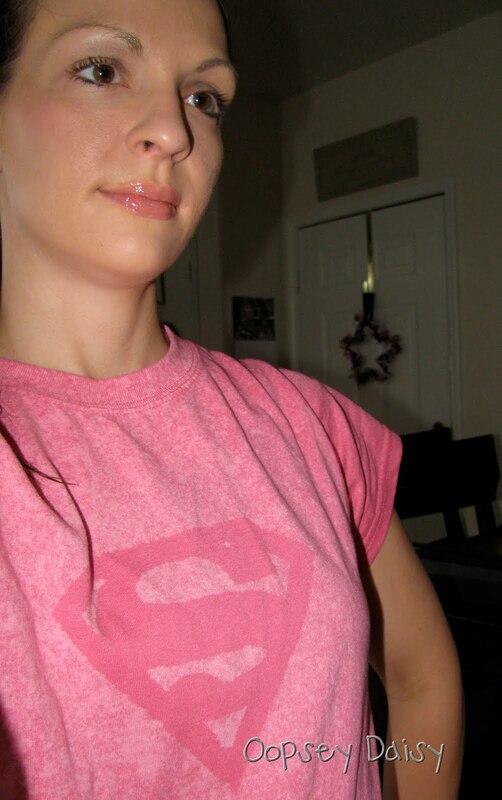 I am loving my sweet, subtle Superman shirt! Very creative. Love how it looks too! Very cute and yes you are a Superwoman!! Love it! I love your blog! I am following and you can follow me at http://www.pbandjoy.com. Love the idea! Nice!! Love it in pink. Great technique! What a great idea! Fantastic! I want to try this technique, but I can't seem to find any tutorials that tell you how long to let the bleach sit on the shirt. Help! Would you mind emailing me at alisonpulham@homtail.com? I think this is too cute! I love it. 🙂 I'm going to have to give it a try. Thanks! I have been wanting to try this technique forever. 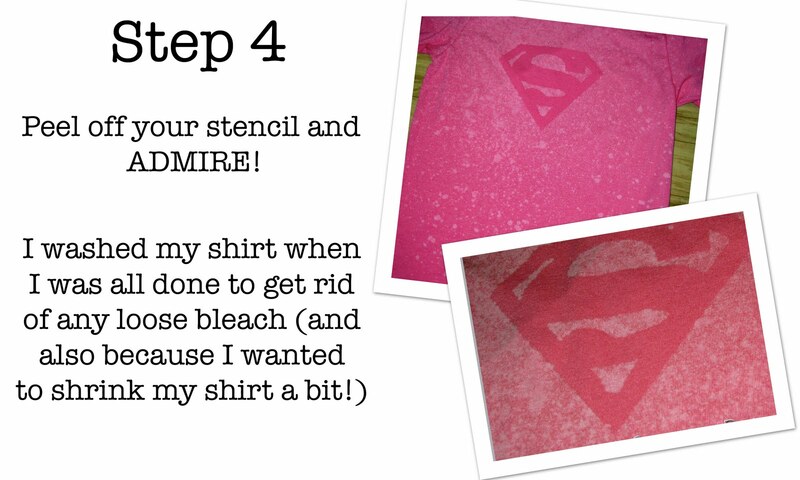 Your shirt turned out so nicely! ok, this is wicked cute! Love it! 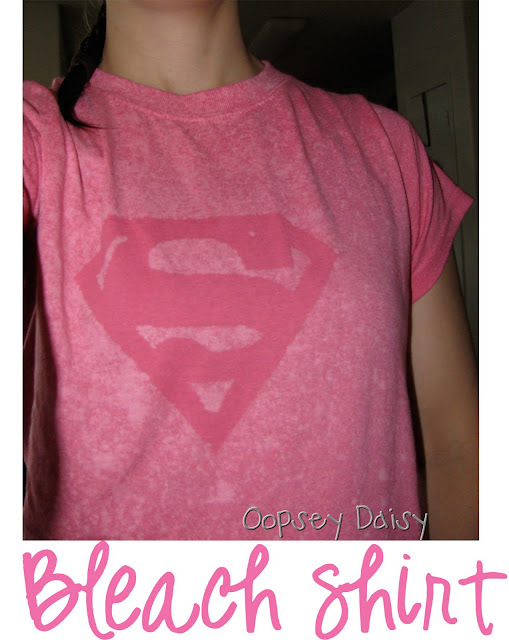 I used this technique to make all of my children Sibling shirts. It was super easy and looks super cute! I’m so doing this! Love the idea!